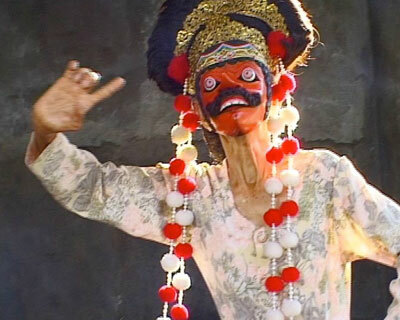 LIBRARIES ON FIRE is an on-going series of documentary films about traditional performing arts in Indonesia and the elders who keep them alive. The objective of the series is to call attention to 'endangered' traditions and the need for young people to learn these arts now before the 'keepers of the flames' pass away. Funded by the Ford Foundation, Freedman Foundation, Japan Foundation Asia Center, Asian Cultural Council and Arts International, the films have been shown in colleges, universities, theatres and film festivals around the world. THE LAST BISSU won 1st Prize and RASINAH won 2nd Prize for Best Film in the National Geographic/All Roads Festival. This is the story of Rasinah, the legendary master of Topeng Cirebon, an ancient form of mask dance from West Java, Indonesia. Rooted in Islamic mysticism, the spiritual significance of the masks and dances was restricted to 'specialist families' who, for centuries, passed on on their esoteric heritage from generation to generation. 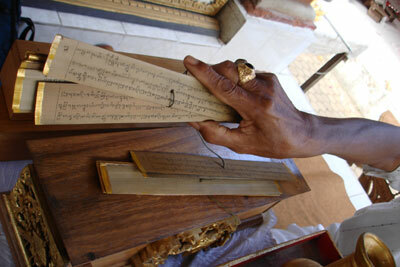 By the late 1900's the popularity of Topeng Cirebon had faded – its mystical masters forgotten. An emotional picture of an ancient art and the 9th and 11th generations of a family entrusted with its future. 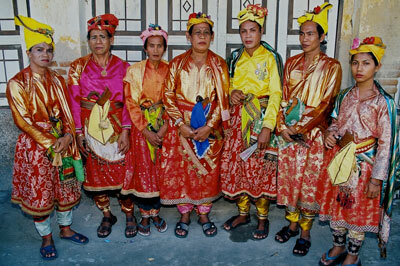 This is the story of an almost extinct sect of transvestite priests of the pre-Islamic religion of South Sulawesi, Indonesia. A High Priest determined not to be the last Bissu encounters a child possessed by the spirits of the past. A poignant portrait of Puang Matoa Saidi's struggle to keep alive a centuries old tradition rooted in the I La Galigo, the creation epic of the Bugis people of Sulawesi. There have been gorgeous films about the lush rice fields, thousands of temples, mystic arts, magnificent offerings, temple festivals and spine chilling cremation ceremonies of the Island of the Gods. The stunning visuals of this small island have inspired great artist, attracted statesmen and millions and millions of visitors. The Priest and the Saint takes us on a journey into the realm of the invisible that activates everything we see in Bali. Told through the life of a 90-year old priest, the film explores the history and beliefs that have shaped the beauty of Bali. It explains how life, death and the afterlife are inextricably bound to the earth, the temples and the gods of Bali and why this connection keeps so many Balinese from ever moving away from their island.